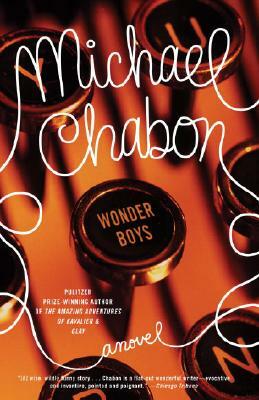 A modern classic, now in a welcome new edition, Wonder Boys firmly established Michael Chabon as a force to be reckoned with in American fiction. At once a deft parody of the American fame factory and a piercing portrait of young and old desire, this novel introduces two unforgettable characters: Grady Tripp, a former publishing prodigy now lost in a fog of pot and passion and stalled in the midst of his endless second book, and Grady’s student, James Leer, a budding writer obsessed with Hollywood self-destruction and struggling with his own searching heart. All those who love Michael Chabon’s The Yiddish Policemen’s Union and his Pulitzer Prize-winning The Amazing Adventures of Kavalier and Clay will find the same elegant imagination, bold humor, and undeniable warmth at work in Wonder Boys. Michael Chabon is the bestselling and Pulitzer Prize–winning author of The Mysteries of Pittsburgh, Wonder Boys, The Amazing Adventures of Kavalier & Clay, Summerland (a novel for children), The Final Solution, The Yiddish Policemen’s Union, and Gentlemen of the Road, as well as the short story collections A Model World and Werewolves in Their Youth and the essay collections Maps and Legends and Manhood for Amateurs. He is the chairman of the board of the MacDowell Colony. He lives in Berkeley, California, with his wife, the novelist Ayelet Waldman, and their children.